The guitar is beautiful... and stupid expensive lol. I would guess that the new bridge pickup is probably in the super d/super 3 vein. It's not on the Di Marzio website yet - their list stops at the DP-425, which is the SatchTrack. Anybody knows what the DP-426 is? And yes, beautiful guitar but so valuable that I would not take it anywhere. I really want to see/hear a demo of this pickup. I see Phil got a Pro Track on his guitar + the Sustainer. Which could be a nice SSS set combination for this? I imagine it's going to be a Super D/3 like distortion beast! PS. I'm a fan of the Super Distortion, and Collen's tone/playing! Here’s a video Jackson put out with Phil a couple of months ago. 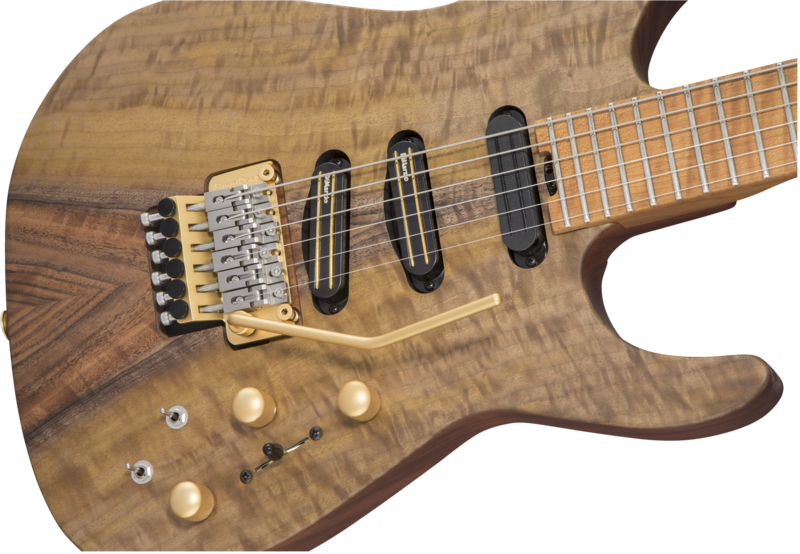 The limited signature PC1 with, at least a preproduction version of this pickup is about 1/2 way through. In the video, Phil calls it the “Audio Lava”, but I’m sure that’s necessarily the final name that far back.